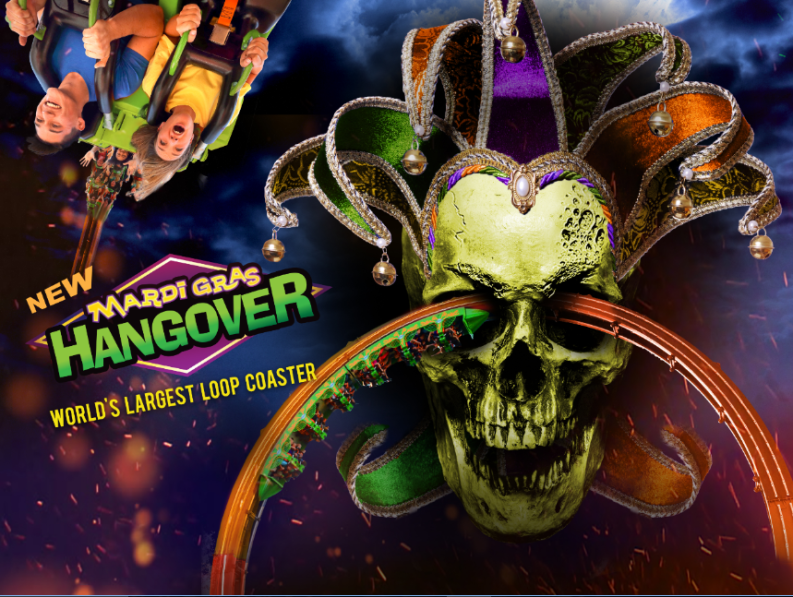 SFGAm 2018 - Mardi Gras Hangover: Larson Loop : Theme Park News & Construction! This latest thrill will be located in the Mardi Gras area of the park. The new coaster will be named soon and is set to open in spring of 2018. For more information about next season at Six Flags Great America, visit https://www.sixflags.com/greatamerica/newfor2018. Six Flags Great America is also announcing the start of 2018 Season Pass sales with its special Flash Sale through Labor Day weekend featuring the best deal of the year—savings over 70% off on a 2018 Pass! August 31 through September 4, guests will receive a free upgrade to a Gold Season Pass with every Pass purchased. Gold Season Passes include admission to Six Flags Great America and Hurricane Harbor, and any other Six Flags theme park, as well as free parking and special admission offers for friends. And people thought Crazanity was bad. This name is incredibly generic and if a taller Super Loop is built then this will be a misnomer. Actually it sort of is a misnomer because Full Throttle's loop is much bigger. They're just about satirizing themselves by now. I believe the name was actually supposed to be something along the lines of "Hurricane Force" but because of what just happened in Texas they're probably waiting a little longer to release the name. Yeah I heard similar to what VF15 is saying. Kinda makes sense I guess. Last edited by lol240 on September 8th, 2017, 10:24 am, edited 1 time in total. WORLD'S LARGEST INVERSION ON A POWERED COASTER!!!!! WORLD'S LARGEST "HOTWHEEL" LOOP INVERSION ON A POWERED COASTER!!!!! Fixed for you! It's gonna be one of the kid's best dreams! Well, that’s certainly an interesting name. Well, that translates into "Pancake Day Hangover" in English! 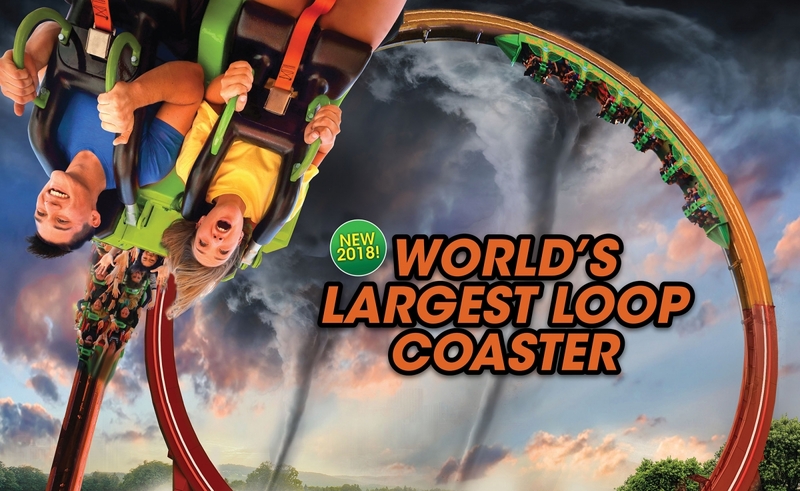 That's a much better name than "World's Largest Loop coaster." Not even hurricane-related. I wonder if they were concerned about the name 'hangover' being family friendly. It takes them literally 7 months to install a flat ride and they use the caption "talk about progress"????  Photos with Santa and Mrs. Claus. become a time-honored tradition that can only be experienced at Six Flags Great America. I have to say I love how well SFGAm integrates their flat rides into their park. I remember some of the more significant ones looking like they're supposed to be there, rather than afterthoughts placed on the side of a path. This one is no exception. Right, I remember riding that Top Spin. Only 4 inversions but they were in crazy rapid succession, had my world spinning vertically. I also remember GAdv's Frisbee in particular standing out as being in a really nice location. They've done a lot of work on the Mardi Gras section at GAm the past couple years. Nice to see this area get a facelift. After Ragin Cajun was removed, that area was a ghost town.